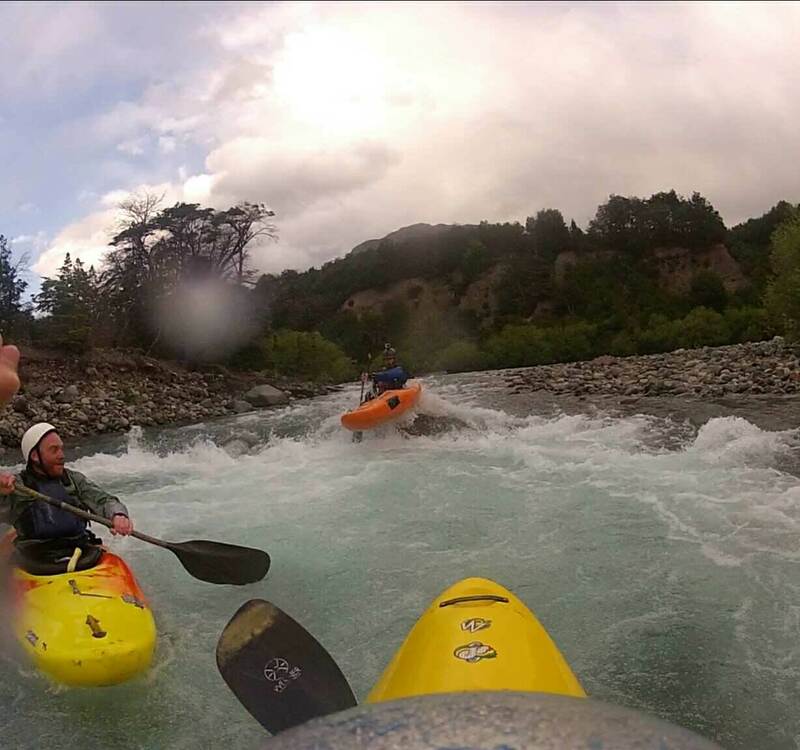 ​The small town of Futaleufu is in the heart of the lake region in Chile. It is nestled between various rivers and lakes which makes it a popular destination for fishing, kayaking, and white water rafting. 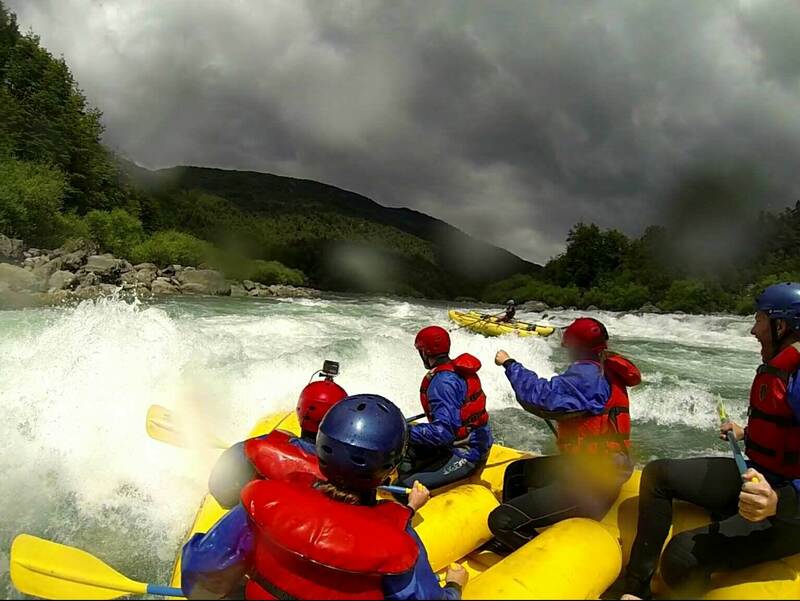 We heard that the white water rafting in Futaleufu is ranked among the top three spots in the world with class 3, 4, and 5 rapids all easily accessible. After watching some videos and reading about the experience some other travellers have had we decided to make this our next stop for a little adventure- little did we know that it would be just as much of an adventure getting there. After our 6 hour bus (really just a van) ride to Coyhaique we asked the driver to drop us directly at the bus station. Here we realised that there are very few buses running to Futaluefu or Chaiten, only one or two a week. Not wanting to spend the next five days stuck in Coyhaique we found a bus to a town called La Junta which was leaving almost immediately and would at least get us halfway to our next destination. We knew nothing about La Junta and had no time to research before the bus left, all we knew was that it was North so we decided to go for it. We arrived in La Junta to find a farming type town with only a couple of streets. Luckily, we found a friendly lady who owned a restaurant a couple rooms she rents out for tourists. She informed us that unless we waited until Friday for a bus we would need to hitchhike out! Although we had hitchhiked once before, I was a little nervous. This time it was going to be for a longer distance, about 2.5 hours. 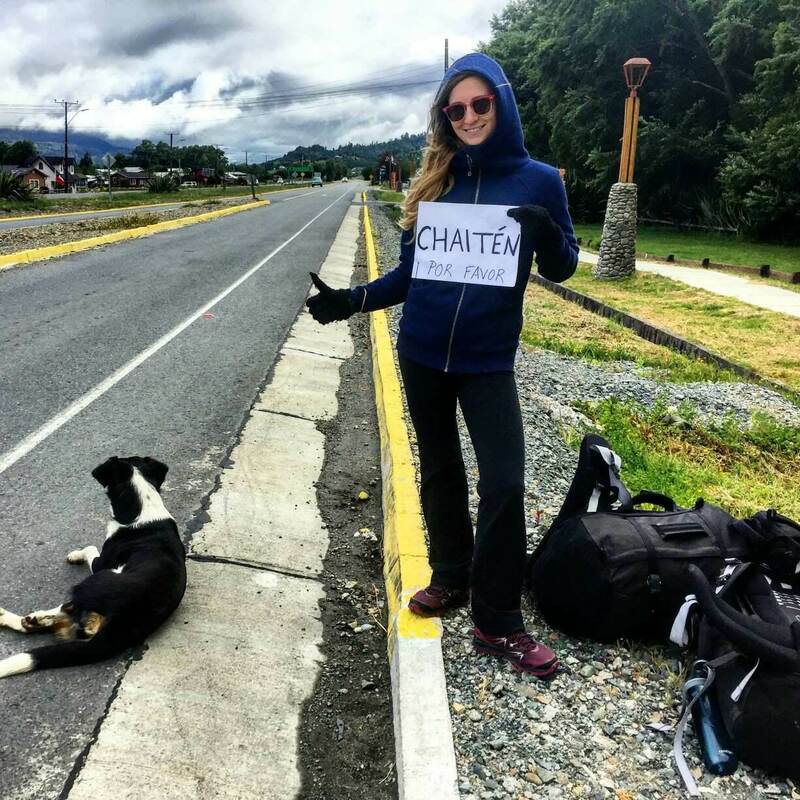 We got up early the next day and made a sign saying “Chaiten, Por Favour” and waited at the edge of town. We were lucky and a friendly businessman picked us up after only waiting an hour. He didn’t speak any English but with the help of google translate we had some good conversations with him and he dropped us off in Chaiten. It was a good experience and really showcased how friendly Chileans are, even when you don’t speak their language. I am glad we got to hitchhike part of the Cerretara Austral and saved a few dollars along the way! In 2008, Chaiten was completely destroyed by a volcano and the town has since somewhat rebuilt but they have left some of the originally buildings that were destroyed as a reminder of the tragedy. It was a bit eerie seeing houses halfway filled with ash. Besides seeing these buildings, Chaiten was a bit of a disappointment overall. You can go for a tour to the volcano but only get a little ways up and it was really foggy the days we were there so we wouldn’t have seen anything. However, we did go for a nice bike ride through the mountains until we were scared off by dogs. We spent the rest of our time relaxing and then bused to Futaleufu. We arrived at Futaleufu and headed to a hostel that came recommended by a friend, Las Natalais. It was a beautiful large house just outside of town on a large hill with mountain views from every window. We met some great people at the hostel and the hosts were super friendly with tons of recommendations of things to do. Our first day in Futaleufu we did a hike up to an overhanging rock lookout. We had to fight some horse flies along the way but we made it and got a beautiful view of the mountains, rivers, and lakes. We also booked our full-day rafting tour for the following day with two Aussie guys (Keiran and Rory) who were staying at our hostel. The rafting was awesome! I have rafted Class 3 and 4 rapids before in Cairns, Australia but never Class 5 , so this was a lot more intense. The four of us were joined by two other tourists, our guide, and two safety cata-rafters that followed us to save anyone who might fall out. We were lucky and did not lose anybody out of the raft the whole day, although I did have one very close call. 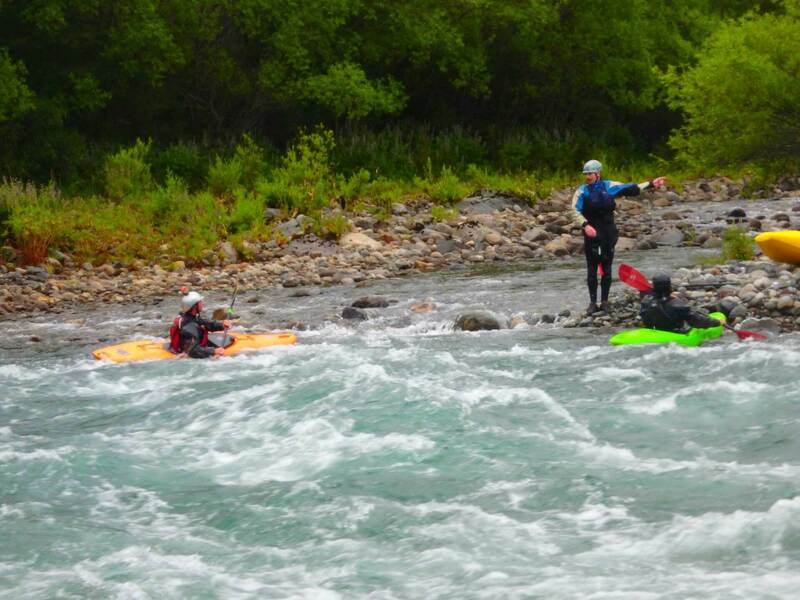 Some of the rapids were so large that we had to park the raft before to get out and scout out the rapids. The Cata-rafters would go through them and our guide would decide based on how they went how we would tackle the rapids. It is definitely a dangerous sport – if you fell out in a class 5 rapid you could very quickly hit a large rock and get injured. The company we went with was called Patagonia Elements and they were good, the guide was awesome and all the gear seemed like it was in good condition.The tour cost $85,000 CLP and included lunch. It was well worth the money and I would recommend it to anyone going to Patagonia as a must-do activity. 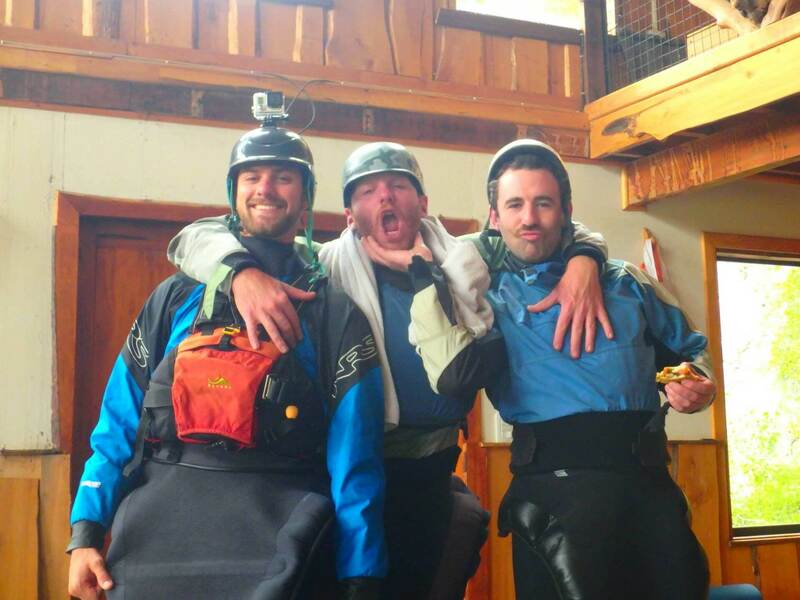 Unfortunately, the big night out left us all a little hungover the next day – but that didn’t stop the boys from taking on a Kayaking lesson. One of the owners of the hostel does kayaking lessons so he took them out that rainy afternoon. I couldn’t be bothered and opted for a yoga lesson instead. I’m glad I decided not to because after I heard what all was involved I would’ve have been too scared. Apparently these kayaks are very difficult to steer and even harder to balance. When you tip over you are stuck underwater through the rapids until either 1) someone comes and “saves” you by turning you upright again or, 2) you pull a relase and fall out of the kayak which in turn causes it to ifll with water and make you drag it to shore to empty it before going again. Of course the three crazy Aussies loved every minute of it. Daniel said that even though they were only on small rapids it was way scarier and more fun than rafting and he definitely wants to do more in the future. That night we all went out to a pizza place for dinner where a drunk local followed us and joined us. He bought us Corona’s insisting that it is better than their local beer varieties. 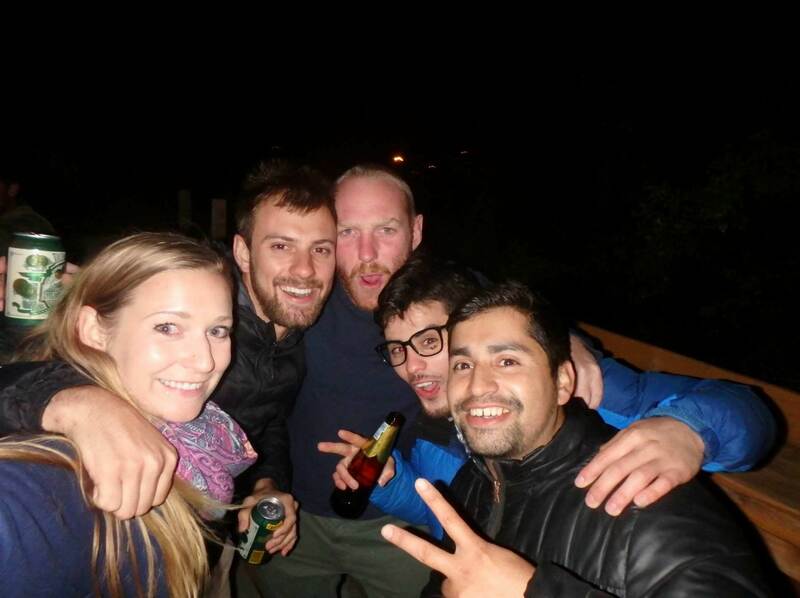 We couldn’t communicate much with him due to the language barrier but it made for an interesting last night in Futaleufu filled with laughs. 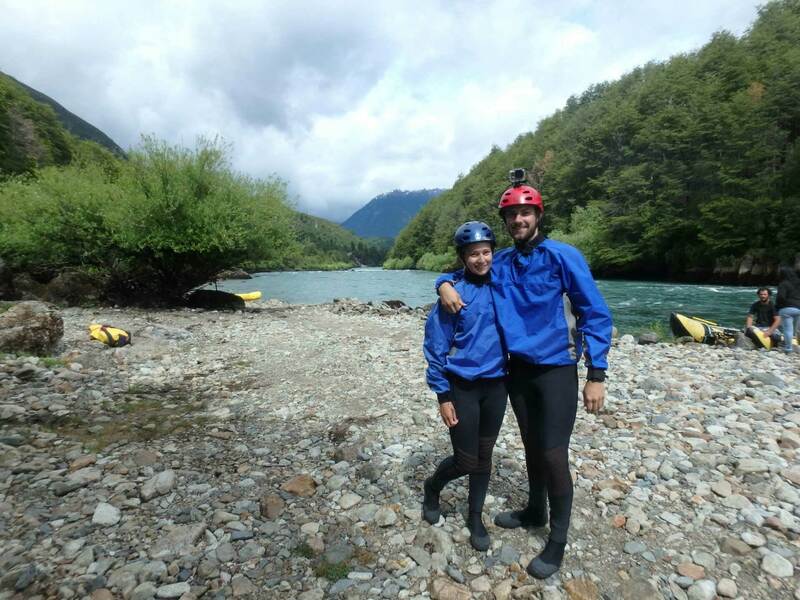 Futaleufu definitely was one of the best places we had been so far – great accommodation, awesome people, and crazy activities. It is hard to think anything else will live up to it but we re on to our next destination which will also be our last stop in Patagonia, the beautiful Bariloche.